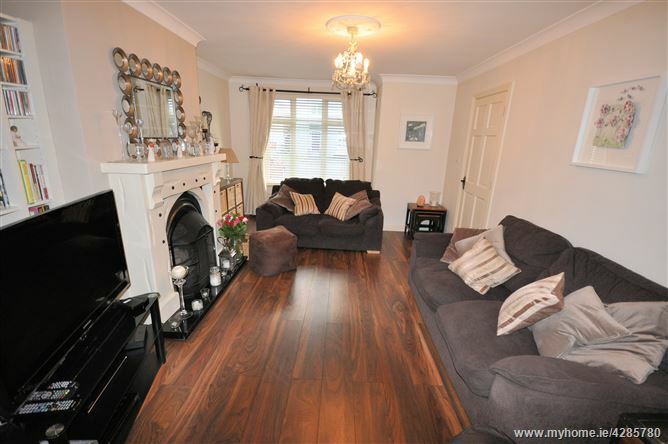 Mullery Auctioneers are delighted to welcome you to this superb 3 bedroom semi-detached residence situated in the well established and beautifully maintained development of Clochog in Oranmore. Number 46, which is owner occupied and well-presented, benefits from gas fired central heating, Pvc double glazed windows, an alarm, a shed to the rear and a large attic space with ‘Velux’ window and accessed via a pull down ladder. 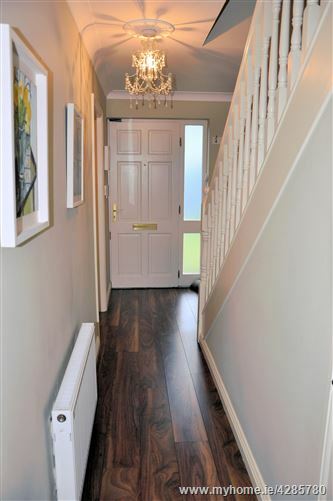 The ground floor accommodation comprises an entrance hall with understairs guest WC, a spacious living room with open fireplace and double doors leading through to the kitchen/ dining room. 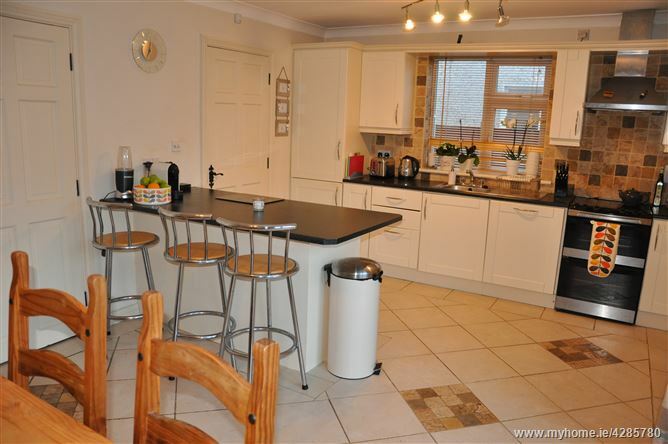 The kitchen/ dining room is to the rear and is well fitted with a range of wall and floor units and a breakfast bar. 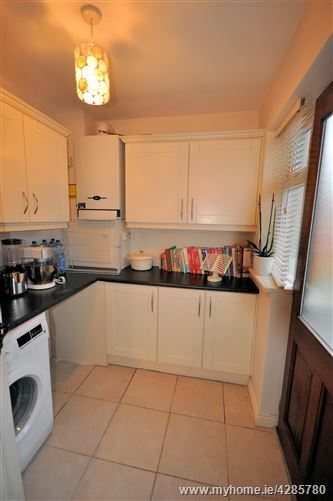 Off the kitchen is a utility room. 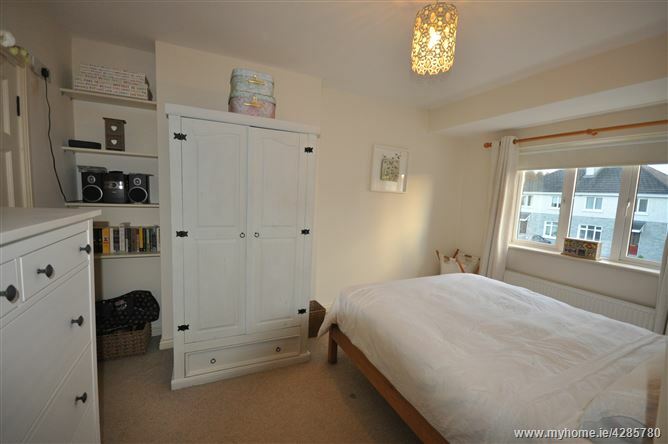 Moving upstairs, there are 3 bedrooms. 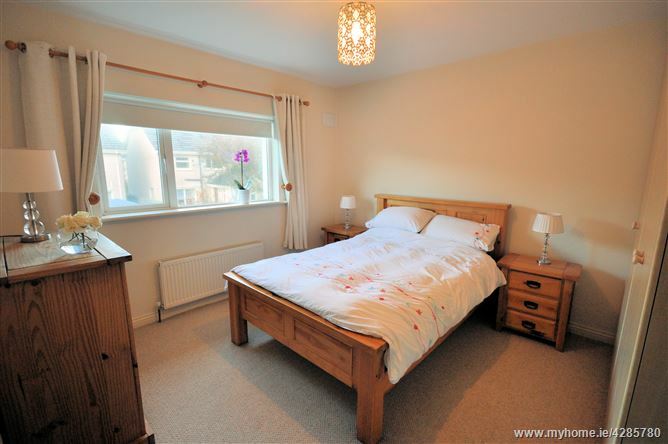 The master bedroom has an en-suite and there is a main bathroom which is fully tiled. Outside there is a driveway and lawn to the front and to the rear is a lawn, patio area and shed. 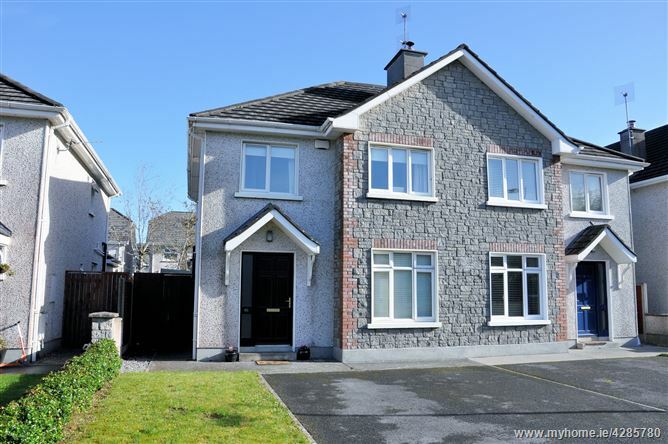 Clochog is ideally situated within a short walk of the centre of the bustling village of Oranmore which boasts a wide range of amenities including schools, Church, shops, pubs, restaurants and shopping centres. 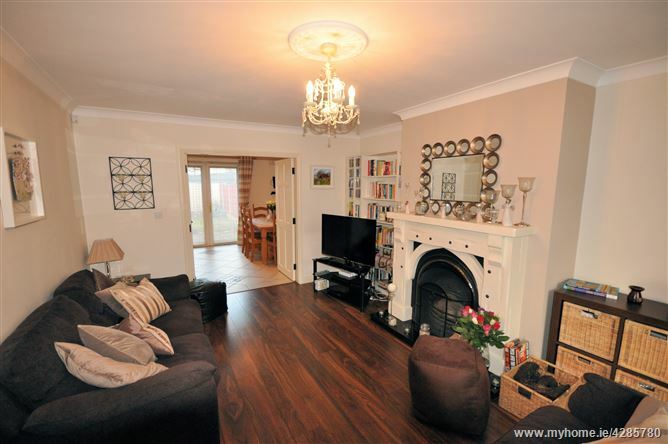 This superb residence would make for a wonderful home combining spacious accommodation with an excellent location in the ever popular village of Oranmore. 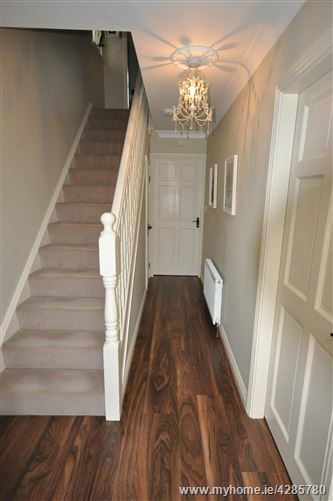 Hall:	Laminate floor, ceiling coving and centrepiece. 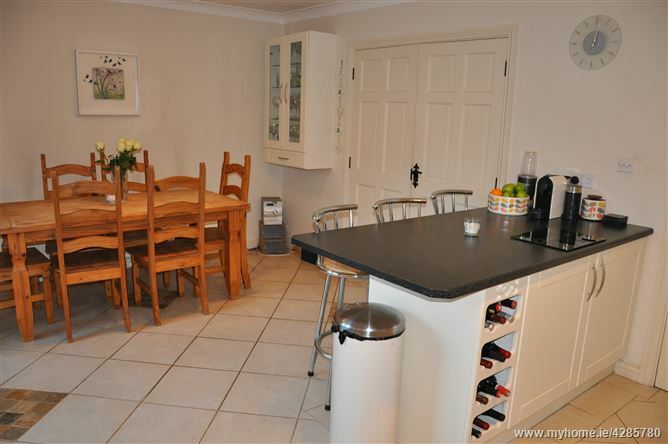 and centrepiece, laminate floor, double doors leading to kitchen/ dining room. 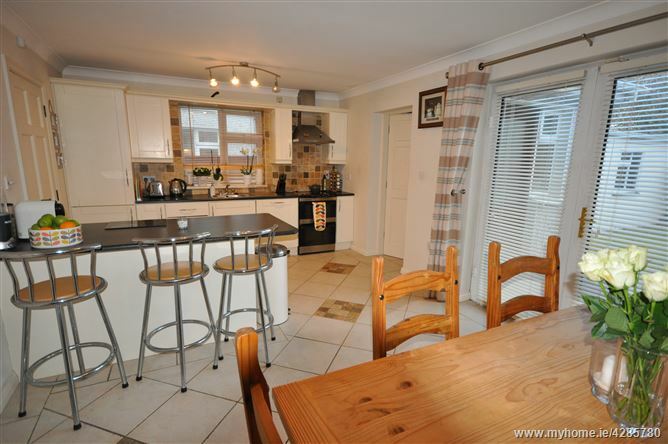 splashback, ceiling coving, patio doors to rear garden. 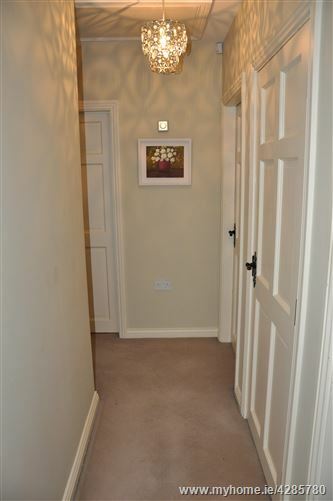 Utility Room:	7’10’’ x 6’5’’ Fitted wall and floor units, tiled floor. 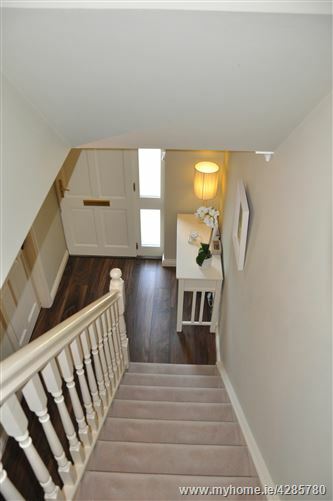 Landing:	Hotpress, pull down ladder to attic. En-Suite:	With “Triton” shower, WC, whb, tiled floor, tiled walls. 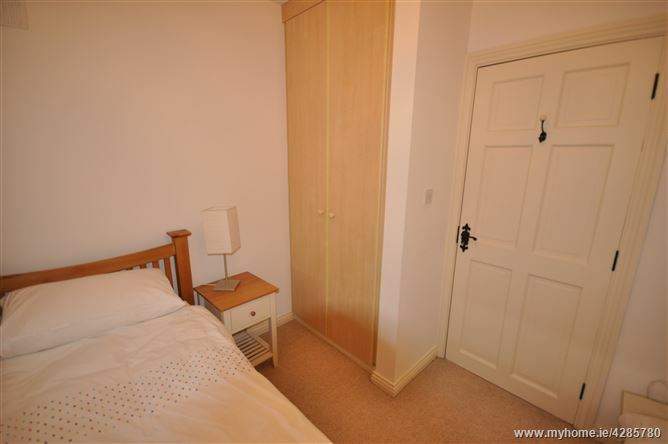 Bedroom 2:	12’3’’ x 11’3’’ Built in wardrobe. 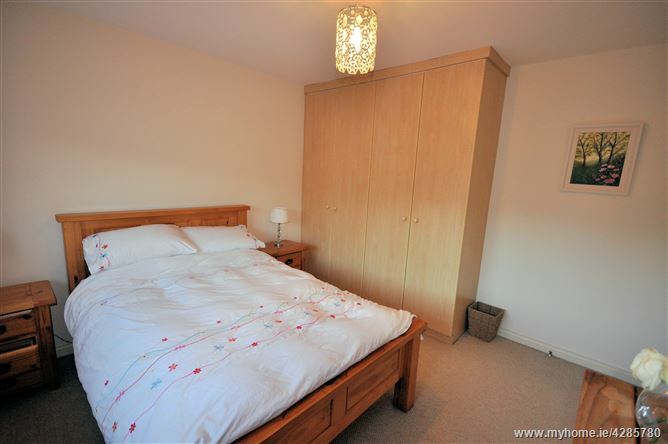 Bedroom 3:	8’1’’ x 7’11’’ Built in wardrobe. 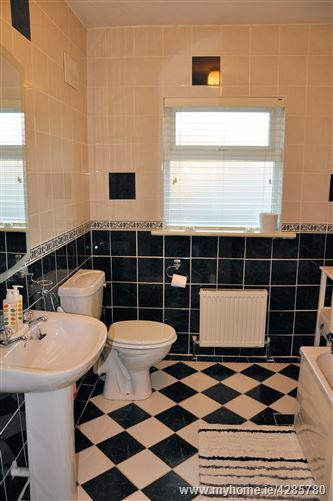 Bathroom:	Bath with shower attachment, WC, whb, tiled floor, tiled walls. 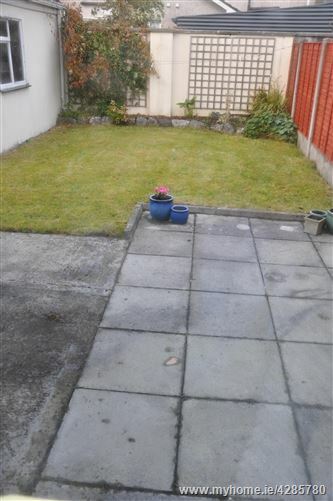 OUTSIDE Driveway and lawn to the front.Rear garden with lawn, patio area and shed.